Get Top Dollars for It in Adelaide! Time to dismantle the car? Perhaps, Toyota has seen its final days? Perhaps, you didn’t count on that SUV pulling sideswiping you, and while you survived, your car was left in serious condition. Maybe the Mazda is at the end of its life. No matter. Whatever the reason that you need a Car Dismantler in Adelaide, Car Wreckers Adelaide is the wrecker that will pay you Top Cash for your Unwanted Car in Adelaide. When a car is damaged, old or otherwise not in roadworthy condition, the best way to get cash for it, without investing any money on repairs, is to sell it to a reliable dismantler. 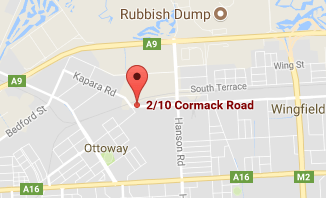 With a wrecker like Car Wreckers Adelaide, you can have it done for you. We make upfront payments for cars we buy to dismantle. And, there are always parts that we can’t salvage, so we will recycle what we can’t; adding even more value to your wrecked car. Some cars may be too old, and disposal is the only solution to get cash for the car while disposing of it in an eco-friendly manner. We keep the environment green by reducing cars being disposed of in landfills. With Car Wreckers Adelaide, we buy all types of vehicles – cars, trucks, Vans, Utes and 4WDs. • Contact us for a quote over the phone or online. • Let us know you’d like to sell your car to us or reject our cash quote. • Get paid cash for car at the time that you designate for us to meet you at your place to buy & remove your car. All dismantling of the car, as well as any recycling, is provided as a courtesy service. Just as our free Car Removals Adelaide. Contact us for a quote. 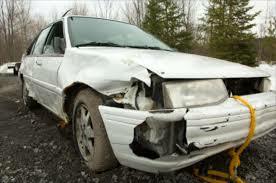 With Car Wreckers Adelaide, you can get maximum value for your used, old, wrecked, damaged, broken or salvaged car. Interested in selling your car to us? Give Car Wreckers Adelaide a call at the number below or fill out our “Get a Quote” form for an online quote. Call us for a quote at 08 8268 8820.